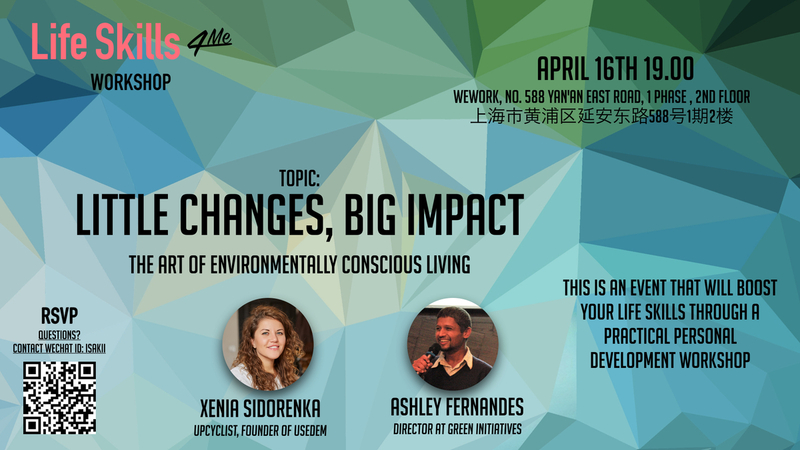 - Learn from the speaker & guests about Personal Development. 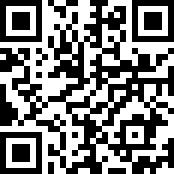 - Share your Life Experience tips and hacks. 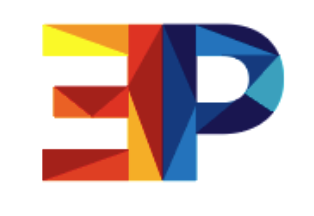 - Join a Life Skills Advocates Community to connect with an inspiring network and contribute to each other’s growth. 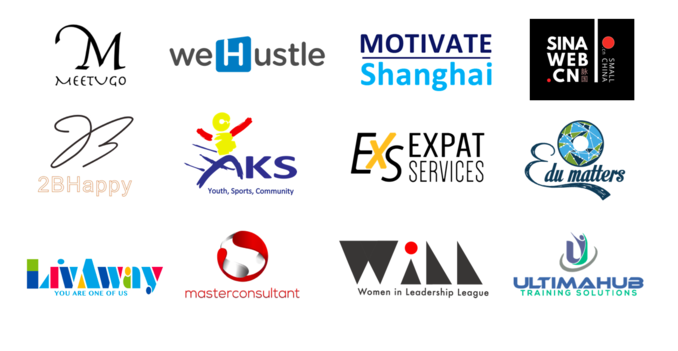 LifeSkills4Me has 1200+ members across 8 branches around the world: three in Shanghai, Beijing, Qingdao, Zhuhai (China), Berlin (Germany), Boston (USA). LifeSkills4Me Community is glad to see your interest in our LifeSkills4Me workshop. We build a community of Life Skills Advocates, who are passionate about personal development & growth, education, training. 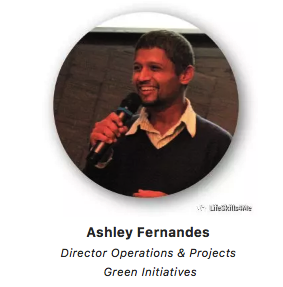 After spending over a decade in the corporate world while volunteering for various causes, Ashley joined Green Initiatives (Gl) as a Partner and Director of Operations and Projects, to pursue his goals of (directly) creating social and environmental impact. He oversees the operations of GI's many recycling projects, and is currently developing a new program for the team. 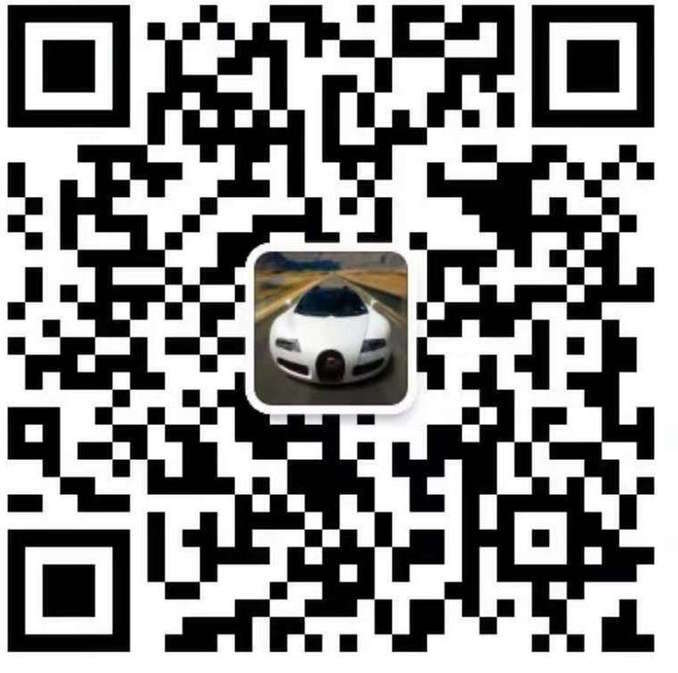 He has lived and worked in India, the Middle East and China, working on Supply Chain Management, Operational Efficiency and Project Management. Born and brought Mumbai, he completed his Masters from Hult International Business School, specializing in business and project management. Gl is an environmental social entreprise that focuses on education, awareness and action on projects for the community - both students and professionals. Gl has organized over 500 events since its inception in 2009. GI's monthly forums, organized as Green Drinks' events, have been the longest running and highest attended sustainability forums in Shanghai, regularly drawing 70-100 people in each event, and been attended by over 25,000 people till date. Ashley is also an avid nature lover and spends most of his spare time in the countryside, hiking or biking in different parts of China. Xenia is a fashion designer, who transforms her own understanding of designer mission in 21st century – product should be designed to be sustainable. Born in Russia St. Petersburg, she moved to China in 2011 to work closely with Denim factories. 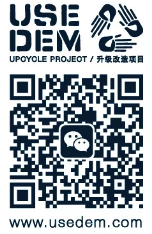 10 years experience in mass production in textile industry made her decided to found UseDem upcycle project, the first industrial denim upcycling brand in China, that aims to eliminate textile waste. 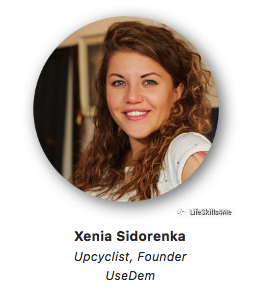 Xenia believes in upcycling as in a solution to decrease textile industry pollution and tool to transform society-consuming mindset. 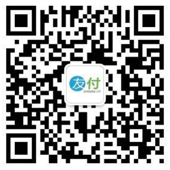 All products are made by Chinese social community, retired and disabled people. UseDem runs education programs - jeans upcycle classes and lectures for kids, adults, companies - about present nature pollution situation and how everyone can make a difference in our future. UseDem team provides to textile brands consulting to help business integrate sustainability as an essential part of corporate policy. Xenia took part in personal charity projects such as cooperation with retired and disabled people, “Fox in Nepal” - winter jackets donated to kids in the mountain village after the earthquake, SWAP, and Sale Garage where all profits from sales went to support kids who live with cancer. - how to develop new daily habits to minimize plastic usage. What will happen during the Life Skills Advocate`s time? Event participants will have a chance to come on the stage and share their Life Skills tips & hacks for 1-3 mins. It can be a story about the last book you read, a workshop you attended, the story you heard, anything that can help others to learn a useful skill to empower their daily personal growth. Make sure you RSVP to save your spot!